Vietnam’s casino rush in the offing, but will it be a silver bullet? After b eing dogged by financing and licensing issues, the five-star casino-resort The Grand – Ho Tram Strip finally opened on July 26 in Vung Tau as part of a US$4.2-billion tourist development aimed at attracting foreign visitors. The massive integrated resort is the sixth casino to be licensed in Vietnam. Elsewhere, in tourism-haven Phu Quoc Island, local leaders have been looking for investors for a casino planned since 2007. 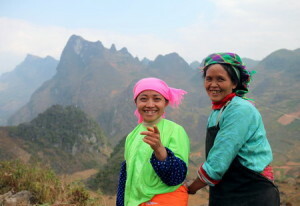 Ha Giang and Quang Binh provinces have apparently never jettisoned plans to build casinos on a rocky UNESCO geo-park and next to a natural reserve named in UNESCO’s world heritage list. They are all part of an intended casino-building spree across Vietnam, where entry barriers for foreign investors are much higher than in neighboring countries, as the government looks to significantly boost tourism and tax revenues amid the economic crisis. But analysts raise two important questions: What role will casinos play in shoring up Vietnam’s struggling economy? And will ordinary Vietnamese benefit? There is a third, possibly more important, question: Why do casino developers come to Vietnam where, compared to other countries, they have to pay more to build a casino but can woo much fewer clients? Vietnam bars its own citizens from entering casinos and the investment threshold in the country is $4 billion, higher than in neighboring countries. In the Philippines, Manila’s threshold is $1 billion and the market there is 80 percent domestic. There are no minimum investment levels for outside of Manila. Macau, the world’s biggest casino market, has no such minimum, and neither does Singapore. “Any gaming projects [in Vietnam] will be aimed squarely at the VIPs/high rollers from overseas,” Ben Lee, managing partner of IGamiX Management & Consulting Ltd in Singapore, told Vietweek. “This business model… is extremely risky, as not only is the business itself subject to extreme volatility due to seasonality and air access factors, without the local mass to give the casinos that busy feel, the foreign VIPs may not return after their first visit,” he said. But with the gambling markets stagnating in the US, experts say Asia has emerged as the gaming engine of the world. The rate of growth is “unprecedented” and right now every investor worth his salt is looking for an entry to the region, they say. Obviously, Vietnam too is on their radar. “All of the major global and regional casino companies have looked at Vietnam for expansion and continue to do so,” Colin Pine, general director of the Ho Tram Project Company (the developer of the Ho Tram Strip), told Vietweek. Of six casinos in Vietnam, four are located in the north, including two in Lao Cai and Quang Ninh provinces bordering China, enabling Vietnam to pull in the increasingly affluent Chinese gamblers, experts say. A foreign consultant acknowledges that Vietnam’s proximity to China does play a crucial role in drawing casino companies, but adding the $4 billion investment threshold “does not make any sense if there is no local mass market. “They are looking either to invest much less than $4 billion or the brokers may have promised them access to locals,” he said on condition of anonymity, citing the “sensitivity” of the issue. With a population of 90 million and an entrenched gambling culture, a rising number of foreign casinos have pushed for major legal change that would allow Vietnamese citizens to enter casinos. But the Vietnamese government has made it crystal clear this issue would not be up for discussion. “There have been many questions [about the ban], but this is stated in the law. Only investors who accept it can be let in,” Minister of Planning and Investment Bui Quang Vinh said. But on the other hand, Vietnam’s top leadership has exhibited a more tolerant approach to gaming. The government said last year that it was considering proposals to legalize casinos and sports betting. Then finance minister Vuong Dinh Hue also last year visited Singapore to study how sports betting was organized there. The government is eyeing the massive revenues that go to illegal bookies and offshore websites. Droves of Vietnamese cross the border to play in Cambodian casinos with many of them even selling off their properties or ending up being kidnapped for ransom after getting into debt there. “The demand for more gaming supply is there [in Vietnam],” Lee said. Pine, Ho Tram’s general director, dismissed skepticism that casino projects benefit only a handful of developers and vested interest groups. “One only needs to look at the facts,” he said. The Grand – Ho Tram Strip employs almost 2,000 Vietnamese and a planned golf course would shortly hire another 200, he said. In Ha Giang, the idea of building a casino on Dong Van Plateau, with a population of more than 250,000 people belonging to 17 ethnic minority groups, was first mooted last April with some authorities saying interested investors can bid for it. But it did not win much support from related ministries and drew flak from conservationists who said if built, the casino would deface the plateau, named a global geological park in 2010 for being a hub of ethnic culture and retracing the geological history of the formation and development of the Earth. The province was silent about it before raising it again at a meeting of local and central agencies in June. Local authorities sought to assuage fears of environmental damage, and touted it as a silver bullet that could lift the locals out of utter poverty. It is not clear how a casino would benefit the needy, and it turns out that those who advocate for their rights were not consulted. Caritas Switzerland is an anti-poverty group that has been working in Quan Ba District, one of the four districts in Dong Van Plateau, for over 10 years on a project aimed at improving the livelihoods of poor ethnic families. When the government chalked out a master plan for the Dong Van Geopark that included a casino, “Caritas Switzerland was unfortunately not consulted for this work, although we work in community tourism in Quan Ba District,” Barbara Hertzman-Schichler, the group’s Vietnam representative, said. “We see that the negative development impact would seriously outweigh the economic return and the benefit to cultural and natural environment,” she said. In the north-central province of Quang Binh, the planned construction of a $4 billion casino next to the Phong Nha-Ke Bang National Park, a UNESCO world heritage natural reserve, faces a delay after the investor, South Korean Zeta Plan and Investment Company, “vanished,” a source told Vietweek. Last year the firm had scouted for locations for the casino, along with a hotel, outdoor tourism attractions, and an amusement park. But since then there has been no word from the firm, the source said, adding that the province would open the door to other investors with “feasible” plans. But experts are questioning the rationale for building casinos in these UNESCO-listed sites. “Tourists may like [these] sites, but they do not gamble sufficiently to warrant the types of investment required by the [Vietnamese] government, Lee, the Singapore-based expert, said. Experts say gamblers do not like remote locations since all they want to do is to gamble in a place that is well-connected by air gateways and has the required amenities. “Trying to cross two separate and distinct target markets just won’t work,” Lee said. Authorities in the Mekong Delta province of Kien Giang, home to Phu Quoc, have since 2007 been scouting for a casino developer. At least 11 investors from the US, Canada, the Philippines, and Hong Kong showed interest but nothing has come of it, local authorities said. In an explicit gesture of support for a casino, the central government has promised to consider granting Phu Quoc special administrative region status on the lines of Hong Kong to enable “local authorities to stand on their own feet,” daily Viet Nam News said. Since the government seems convinced that casinos would help boost tourism, experts say this argument needs to be looked at carefully as well. “While it is plausible to believe in the eventual development that tourism brings in, it is important to understand that it is a cyclical process,” Amruta Karambelkar, a former Southeast Asia researcher at the Institute of Peace and Conflict Studies in New Delhi, wrote in an article last year. “A country needs to build infrastructure in line with its goal. Tourism in Vietnam is not as popular as in other countries in the region. “The existing infrastructure is not prepared to host a world-class tourism experience. Mai Thi Phuong, a successful property investor in Phu Quoc, said since the island opened its door to real estate projects almost a decade ago, land prices have skyrocketed. “A hectare [2.47 acre] of land worth VND80 million ten years ago now fetches up to VND20 billion depending on the location,” she told Vietweek, looking at a fleet of steamrollers working on a major property project on the island. Media reports have highlighted the plight of people around Vietnam whose lands were acquired for property projects. Never having seen large sums of money, many of these people quickly squandered the compensation money they got and no longer had agriculture, their main livelihood, to fall back on either. Phuong said 70 percent of her friends have suffered this fate. Since a casino is proposed on Phu Quoc, she was expecting a lot more people to receive “decent” compensation from the government, she said.